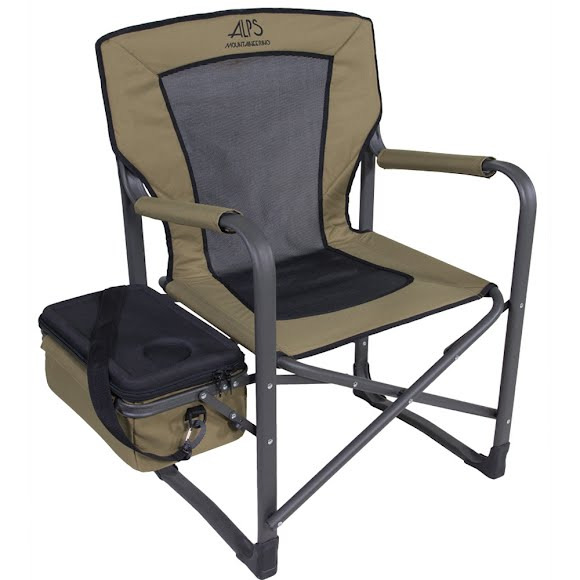 The Alps Mountaineering Chiller Chair makes a bold statement in its name as well as its features. It will be easy to chill thanks to the removable, rigid-top cooler that includes a carry strap and cup holder. Relaxation is sure to follow with the cool TechMesh center panel and Pro-Tec powder coated frame. The Chiller boasts a 425lb. The Alps Mountaineering Chiller Chair makes a bold statement in its name as well as its features. It will be easy to chill thanks to the removable, rigid-top cooler that includes a carry strap and cup holder. Relaxation is sure to follow with the cool TechMesh center panel and Pro-Tec powder coated frame. The Chiller boasts a 425lb. capacity, yet still folds flat for easy transportation and storage.